Restoration Tutor is a common Endurance creature card. It is part of the Heroes of Skyrim expansion. "The Restoration mage can never be counted out." 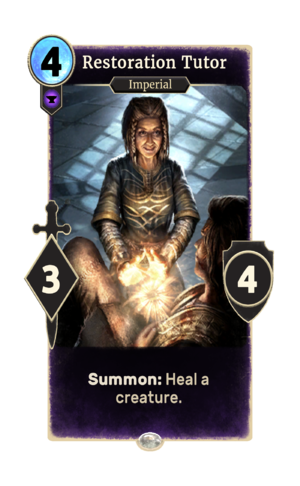 The card art appears to depict Colette Marence from Skyrim, though her race does not match. This page was last modified on 27 February 2019, at 19:31.